The light at the end of the tunnel is nearing for the Maroons. For some, however, it might be coming a bit too fast. With only one meet left before nationals, the South Siders are racing against the clock, literally and figuratively, to get their times down. Last week, Chicago competed in the North Central Dr. Keeler Invitational. With UAAs completed, head coach Chris Hall has made competing optional, which has led to a decrease in the number of athletes who attend the meets. The beginning of the individual’s season has begun. No team scores were kept at the invitational. While the Maroons will practice together and work together as one team, they are all working to qualify as individuals. At the Invitational, the Maroons placed six athletes in the top five of their events. Fourth-year Dee Brizzolara took second and third in the 200-meter and 100-meter with times of 21.69 and 10.80, respectively. “My races went OK, I guess, could’ve been better,” Brizzolara said. Brizzolara’s fate remains difficult to predict. His time in the 200-meter from North Central ranks 17th in the country. Only 20 runners will qualify for the NCAA tournament. In the 100-meter, things are even more precarious as he ranks 24th in the nation with his time of 10.78 from the UAA Championship. In the next week, Brizzolara will have to cut three hundredths of a second off his 100-meter time in order to be in the mix for the NCAA Championship. In addition, he has to protect his spot in the 200-meter by either speeding up or hoping no one else posts a faster time in the next week. “My form for starts has been my worst attribute as a runner for some time now. I’d like to work on fixing that this week,” Brizzolara added. Fourth-year distance runner Billy Whitmore took second in the 5,000-meter at the Invitational with a time of 14:30.53, the 15th-best time in the nation. Because only the top 20 qualify, Whitmore’s fate is not exactly sealed, but his time should stay within the top 20 over the course of the next week. Third-year Sarah Peluse took fifth in the 10,000-meter run with her time of 37:00.96, which puts her at 34th in the nation. She would have to cut 40 seconds off her time to be in the talks for NCAAs. While not impossible, this is highly unlikely. In the 5,000-meter run, the Maroons had a pair of top performances and personal bests. First-year Catherine Young surpassed expectations with her time of 16:57.37, topping fourth-year All-American Julia Sizek who raced a time of 17:00.19. Young currently holds the number eight ranking in the country while Sizek sits at 11th. It is safe to say that both will qualify to nationals, as the top 22 in almost all the women’s events qualify. “[Julia and I] both got personal bests and to finish and qualify with your teammate is so exciting. I can’t wait to run with her at Nationals,” Young added. In addition to Sizek’s recent success in the 5,000-meter, she also will likely qualify in the 10,000-meter. Her time of 35:54.93 from the Chicagolands Championship at the beginning of the season currently stands at 10th in NCAA DIII. 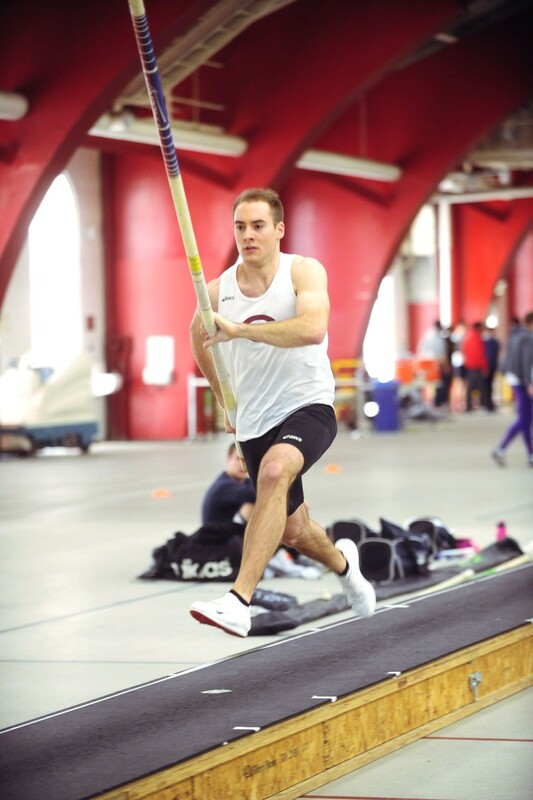 First-year Michael Bennett placed seventh last weekend with his height of 4.51m in the pole vault, but will likely qualify with his height of 4.81m from the UAA championship, which is currently the 14th highest in the country. In addition, numerous other Maroons remain in striking distance of qualification, but they will have to make some serious improvements at the North Central Last Chance later this week.